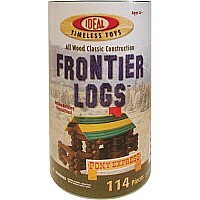 This 114 pc construction set has durable and colorful logs that make beautiful cabins, houses, or whatever your imagination can create! 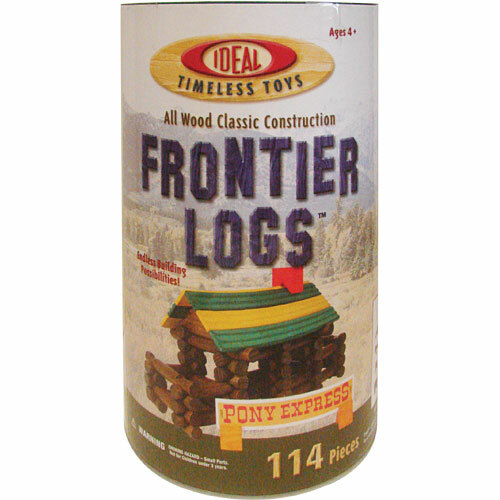 The classically styled real wood, interlocking, round logs are guaranteed to stimulate and challenge the imagination of every child. Create a building experience for anyone who plays with them! Enjoy creating without the hassle of tools or glue! Pieces lock together for easy assembly, disassembly, and reconstruction. Recommended for ages : 4 to 9. © 2019 Specialty Toys Network, © 2019 Talbots Toyland or its affiliates. All Rights Reserved.